The perfect way to keep your fingers safe while cutting leather, lino, carpet and more. 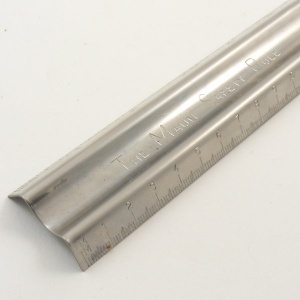 The moulded shape of this metal ruler keeps your fingers well away from the edge, so you can cut safely with a craft knife or stanley type utility knife. 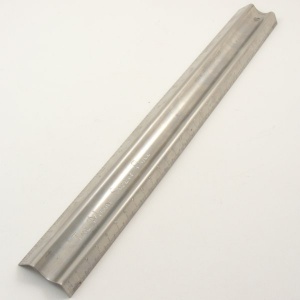 This is a 30cm ruler, marked in metric measurements.